People love the excitement of getting a new technology; however, your new tech is only as helpful as the user. We like to compare this to getting your grandma a smartphone (if you have a hip grandma this analogy doesn’t really work, but hang with us). Giving your grandma access to a smart phone seems like it would alleviate your obligatory tech support line. She is now able to do things like schedule doctor’s appointments, keep in touch with her family and friends, and look up new recipes easily. This seemingly perfect plan often times backfires. She is left more confused than ever and now you are flooded with phone calls about how to do all of these new things on her phone. The other alternative is that your grandma stuffs her phone in a drawer and continues to do things the old-fashioned way because she doesn’t understand the value it can provide. Adding a chatbot to your website or Facebook messenger can have the same effect if your prospects don’t know why or how to use it. We have come up with four quick ways to help your bots get more done. 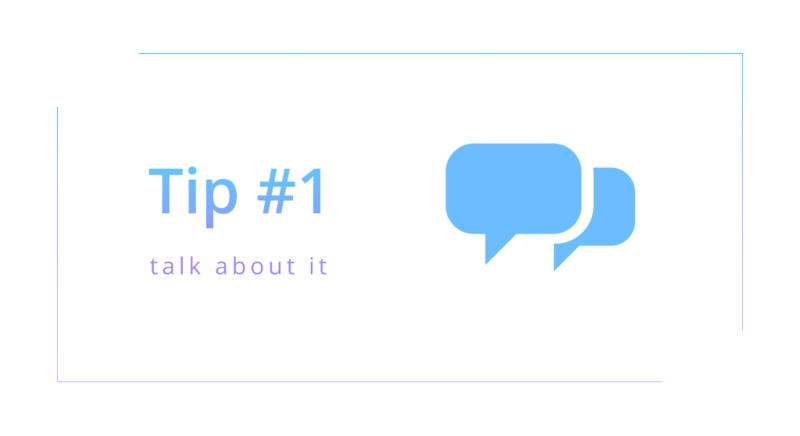 For readers who might not have a chatbot yet, you can still use these 4 tips to start more conversations between prospects and agents on Faceboook Messenger. The easiest way to get prospects to talk to your bot is to talk about it. Make your Facebook post call-to-action a link to your new bot. This method is working for Everlane. 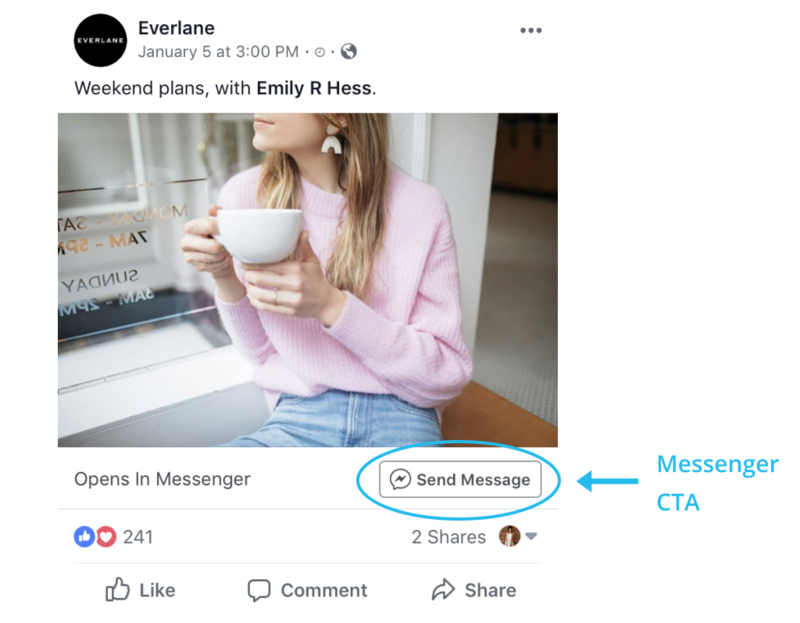 Every one of their posts has a CTA that points prospects to Messenger. Facebook allows you to choose what call-to-action (CTA) buttons appear on your Page. This will drive your Facebook Page visitors to your bot. 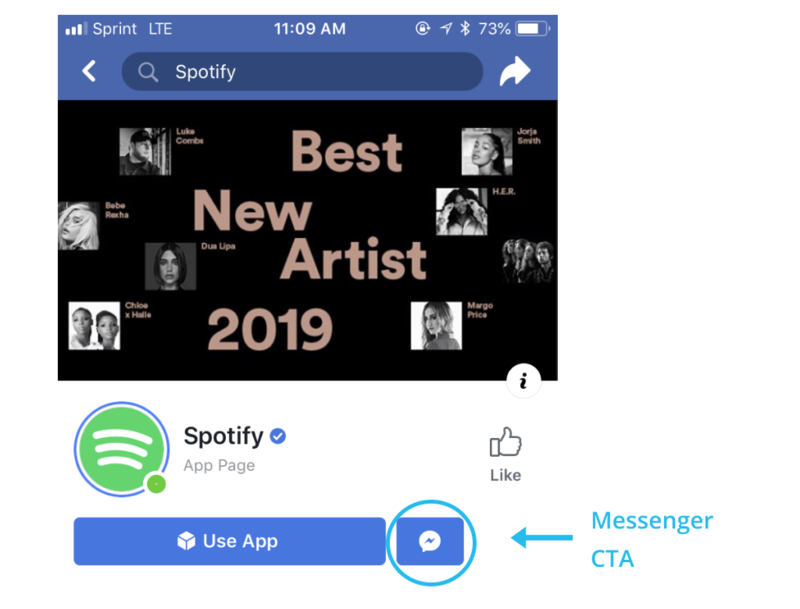 Spotify is a great example for how you can promote your chatbot from your Facebook page. 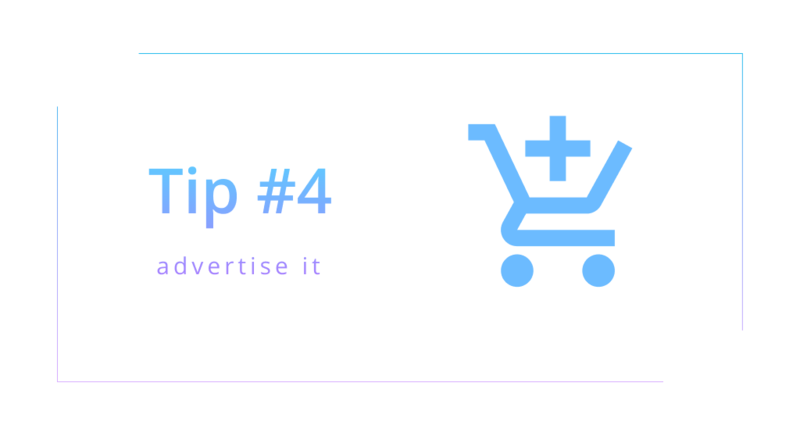 Directly below their banner image is a CTA button that takes prospects to Messenger. 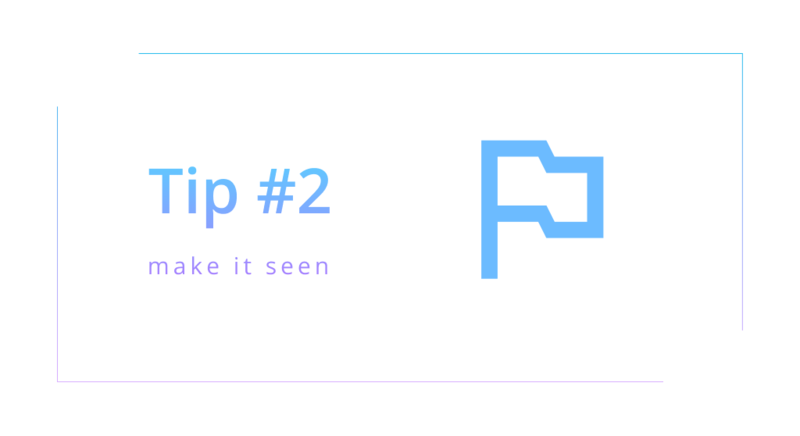 Another way you can get more prospects to use your bot is to promote it across more platforms. 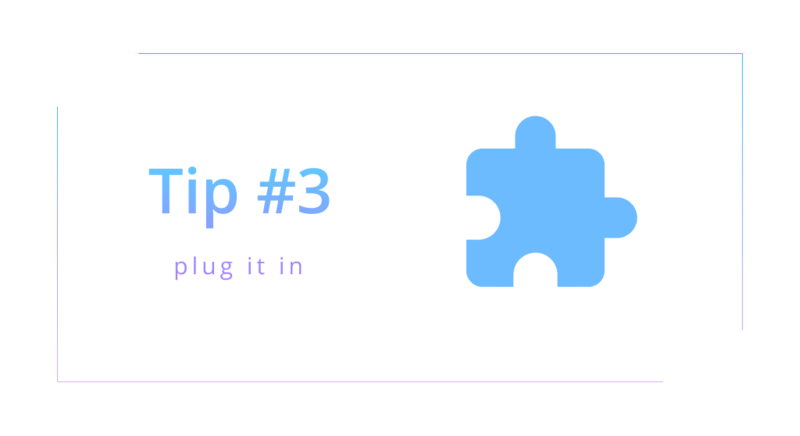 Add a messenger plug-in to your website, social profiles, and emails to give more prospects access to your bot. Visit the Air France website to see how you can connect your website traffic straight to your chatbot. 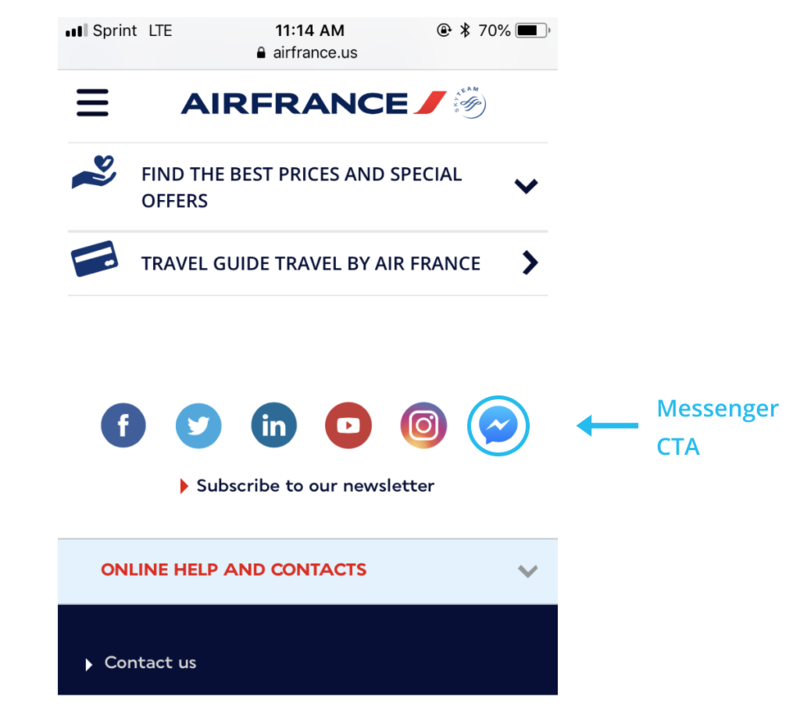 Air France has added Messenger plug-in into their website footer promote their chatbot. The last way you can get more traffic to your bot is to advertise it. Show off your new chatbot with targeted Facebook Ads. 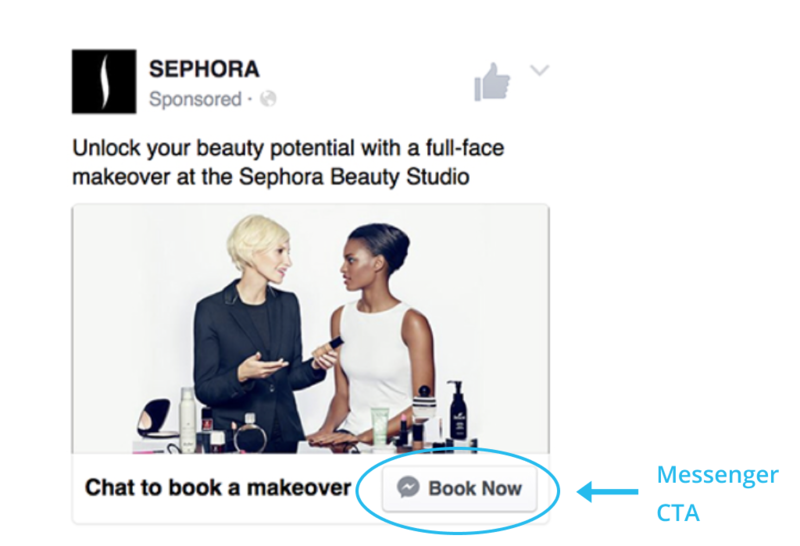 More and more big-name companies like Sephora are making Facebook ads that connect viewers directly to their bots. Not only do these ads spread brand awareness for your property, but they drive more traffic to your chatbot. That’s all it takes. 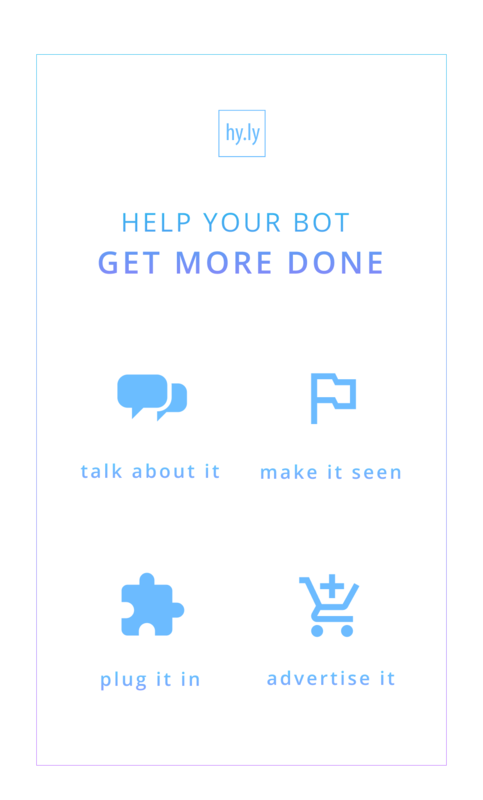 Four easy way to help your bots get more done! If only teaching your grandma how to use her smart phone was this simple.